We are excited to announce our latest game giveaway! Do check out our previous game giveaways and follow us on twitter/FB for the upcoming ones. Company of Heroes 2 is a real-time strategy video game developed by Relic Entertainment and published by Sega. The sequel to the critically acclaimed 2006 game Company of Heroes. 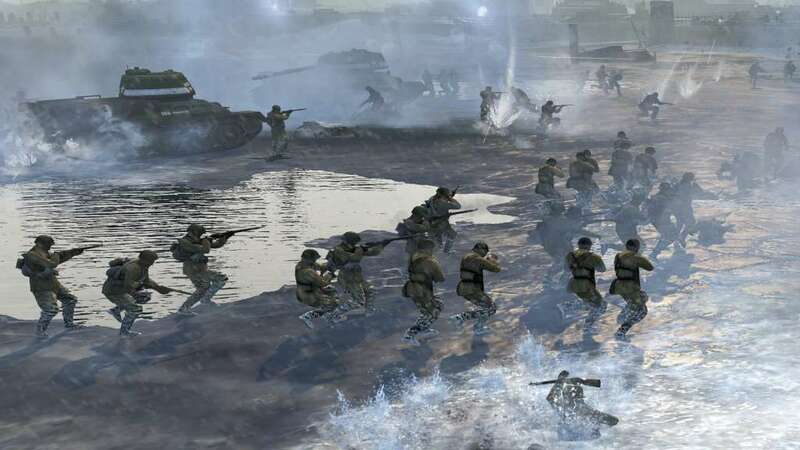 As with the original Company of Heroes, the game is set in World War II. Here, the focus is on the Eastern Front. Players will be primarily controlling the side of the Soviet Red Army. The various stages include the Eastern Front, Operation Barbarossa and the Battle of Berlin. The game's story focuses on the Eastern Front campaign as narrated through flashbacks by Lev Abramovich Isakovich. 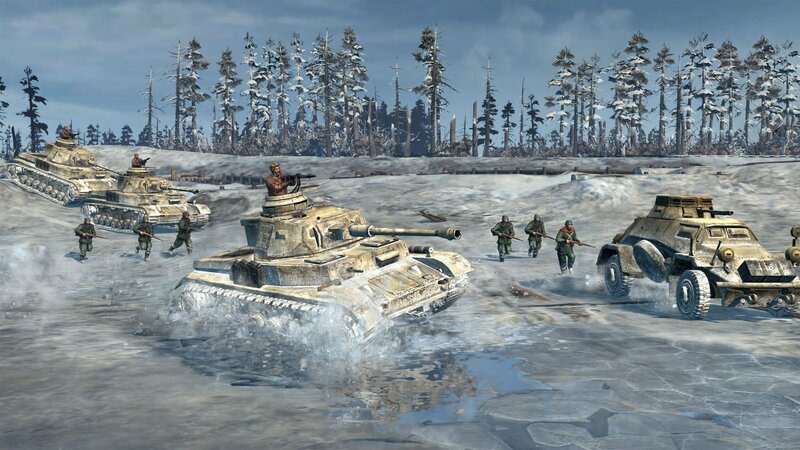 The campaign features the Soviet Red Army as a new faction and takes the player to various stages of the Eastern Front campaign, from Operation Barbarossa to the Battle of Berlin. Relic's proprietary Essence 3.0 engine showcases new improvements compared to Relic's previous games. One such improvement is the new line-of-sight technology, TrueSight, which aims to better emulate troop visibility in real combat. In contrast to traditional unit visibility, TrueSight more accurately represents a unit's visibility range based on environmental conditions and type of unit. Essence 3.0 also incorporates an innovative weather-simulating technology known as ColdTech and destructible environments. In the game, weather conditions are a major factor. Movement and action penalties applied on players' units. Since many battles in the Eastern Front occurred in winter weather as a result the troops can die of frostbite if caught in the outside during blizzards. Bonfires protect soldiers from the cold at the expense of enemy detection. Players moving through deep snow will move at a reduced speed. Certain maps have frozen bodies of water, allowing for more movement options. The game introduces the "Theater of War," a series of single-player and cooperative missions. All of them detailing various aspects of the Eastern Front campaign from both German and Soviet sides. Eighteen missions set in 1941 will be part of the game upon release with the missions from 1942 onwards available as downloadable content. Game developer Quinn Duffy said the rich history of World War II on the Eastern Front is an opportunity to show other stories from the war. The game also offers the player a chance to complete side quests in a mission such as protecting civilians caught in the crossfire.